Need a hires download option (FLAC 96kHz min). Please, what instrument is Ms. Yarden playing in these Haydn Sonatas? "She let them hear very nice piano playing: melodious with mulled pedal usage and dynamically nuanced"
"This is a very fine addition to the Haydn repertoire. If the sound is merely unremarkably good for a SACD, the playing is stupendous. I predict more great things from this young Israeli artist. Presumably another run at Haydn is in the offing, or following the logic of this recording, an investigation of lesser known D. Scarlatti." "Yarden clearly has much to say in this repertoire and she’s beautifully recorded too." 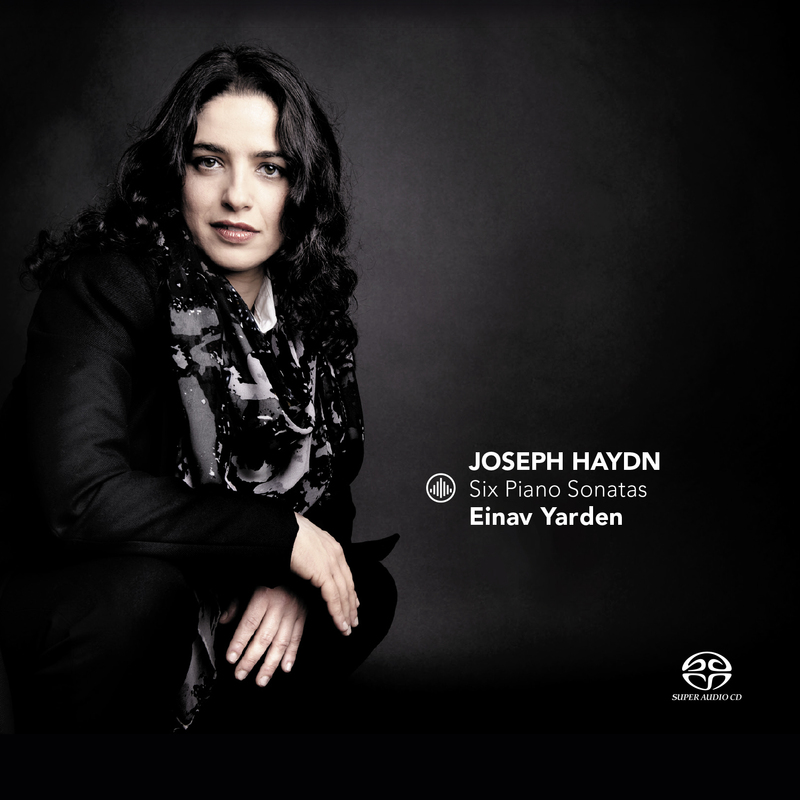 " "Einav Yarden displays an inventively intelligent Haydn, full of wit and abundance, with a delicate, varying touch... her playing is finely-spirited and artful [...].Yarden plays a wonderfully exuberant, vibrant Haydn, glowing, transparent, adventurous, at times intimately chamber-music-like, at times grand and orchestral. A voice for Haydn!" "Radio 4 Plaatpaal (extra airplay and attention on Radio 4 and website)"
"Un disque à ne pas manquer aussi bien pour les œuvres que pour leur interprète et pour la chaleureuse prise de son de Challenge Classics"
"“Fantastic music, I love the Sturm and Drang style, the contrasting emotions, the whimsical. I myself like to hear this on a fortepiano because of the differences in nuance and colors it can give and I think the modern instrument lacks that, but this says nothing about how well this pianist is playing here, which is very good!” "
"" [...] This is a fine recital, which can safely be taken as a prime recommendation for enlarging your collection. ""